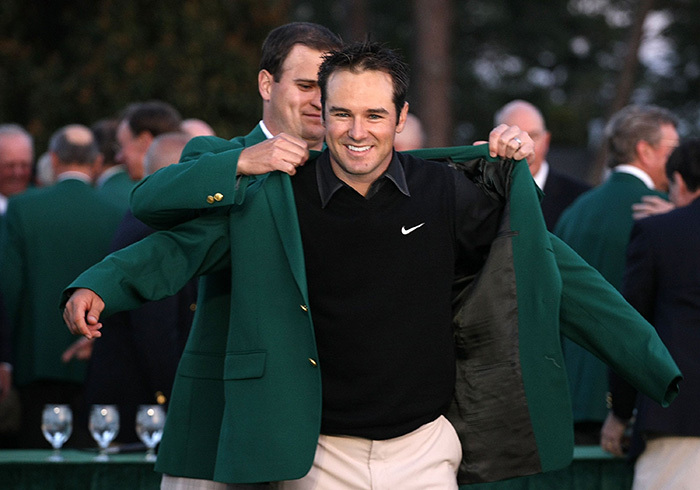 This week Trevor Immelman returns to Augusta National, the scene of his 2008 Masters triumph, dreaming of a return to the winners’ circle. The 36-year-old started playing golf at the age of five under the watchful eye of his father Johan, who later became commissioner of the Sunshine Tour. Golf was clearly going to be a big part of the youngster’s life, and a year after he turned professional Immelman won the 2000 Kenya Open and began his path to international stardom. By 2006 he was named PGA Tour rookie of the year. He got to his best in 2008 and came down the stretch at Augusta National with everything to play for. Immelman succeeded in making it happen and claimed a wire-to-wire victory at the year’s first major. ‘Taking that walk was incredible, something I will never forget,’ he said. Back then Jordan Spieth was a cheeky 14-year-old already saying he wanted to win a green jacket. Times have changed drastically since. This week Immelman returns to the scene of his greatest triumph hoping to find some former glory, but he knows that his game is not quite what it was back in 2008. ‘I haven’t played anywhere near what I would like over the last few years. Not through lack of effort and I’ve been pretty frustrated by it,’ said the world number 1669, who has been plagued by tendinitis in his wrist since 2009. His game is coming back into shape and hours in the gym are paying off ahead of his trip down Magnolia Lane. ‘I’m as healthy as I’ve ever been, but it was a tough time to go through. I’ve learnt a lot through the process and hopefully I can get out there and play some good golf again. ‘I feel like it’s trending in the right direction and I’m on a better road. I still want to play, and to play well. I want to have chances to be in with a shot to win on a Sunday. That’s the goal,’ he said.